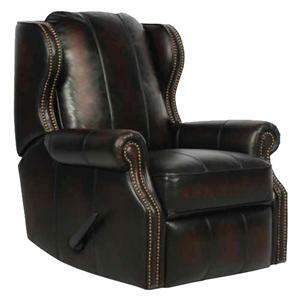 Complement your home with the smooth traditional style of this decorative accent recliner. Designed with a classic furniture frame that features a modified wing back and decorative rolled arms, this attractive reclining chair makes a comfortable place to sit and relax. 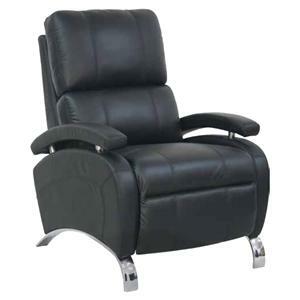 While nail head trim adds a fine tailored accent, thick seat cushions provide exceptional padded comfort and the lay-back recline function enhances relaxation. Perfect for your home theater, this casual reclining chair and storage ottoman will change the way you lounge. Sit in ergonomic comfort with the sculpted foam back and head rest of this piece. The padded arms slide back to reveal a cup holder and a receptacle for a table, providing extra convenience to this pedestal chair. Rest your feet on an ottoman that offers your living room an additional storage option. With this casual and comfortable rocker recliner, homeowners and guests will experience the largely luxurious and continuous support that quality craftsmanship and design can offer. Designed with vertical channeled cushions for a sink into comfort, this family room rocking recliner will surround your body in total relaxation with cushions that gently conform to the generic body shape. 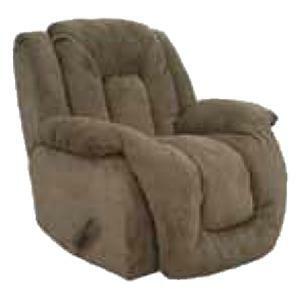 This modern styled accent recliner will bring a crisp and clean look into your home. Designed with unique contours and smooth pulled upholstery, this attractive chair recliner will provide homeowners with relaxed comfort without compromising up to date style. While plush back cushions with a defined headrest create a casual contour for leaned-back relaxation, smooth padded arms provide style and comfort. 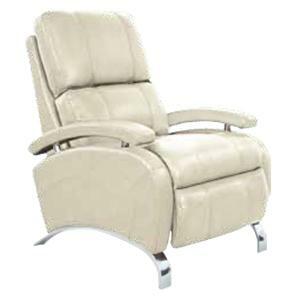 Customers desiring the finest in reclining furniture should look no further than Barcalounger. 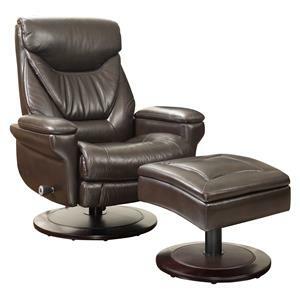 Whether it is a stylish Vintage push-on-the arm reclining chair, an elegant reclining wing chair, a casual rocker, wall lounger or swivel glider reclining chair, Barcalounger has it all. You can even find the smallest of ladies' reclining chairs in their low profile pop-up recliners. Need a Mission or wood accent "chair that reclines"? Barcalounger has your solution. 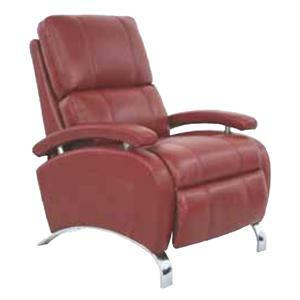 The Barcalounger "Made In America" line of fine "chairs that recline" also features the trendy "Lifestyles" designs as well as Retro and the latest Contemporary designs.